Architects are nothing short of miracle workers. Their job is to make their clients' dreams a reality! Architects design structures, down to the smallest details. This includes the most specific architectural details. When choosing companies to work with, it's important to take into consideration quality, reliability, pricing, and much more! When it comes to columns, balustrades, railing, moulding, and more, architects prefer to work with Worthington Millwork. Let's take a look at 5 reasons Worthington Millwork is the preferred company for all architectural structures. What's The Difference Between Molded Fluted Columns And Adjustable Fluted Columns? Columns have been a viable option for adding design and structure to buildings for centuries. The history behind columns goes back to the beginning of architecture, and so does their customization features. Columns can be built round or square, plain or fluted, tapered or non-tapered. One of the best ways to spruce up your home is to incorporate columns--indoors or out, custom columns add style and elegance in a relatively small project. When you look at Pinterest or home magazines for inspiration, you'll notice that columns come in a huge range of options, from simple round spindles to layered and decorative designs. The more ornate columns are all custom made--something that seems extravagant but in reality is nothing more than mixing and matching. Porch Posts Versus Porch Columns, What is the Difference? 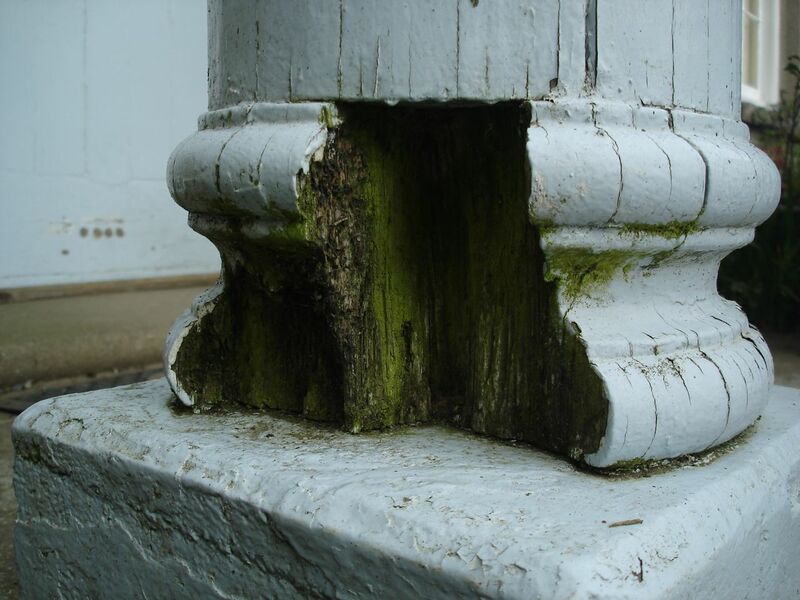 Did you know that there is a difference between a porch post and a porch column? Don't worry, you are not alone. The main differences are really in the detail and you can't go wrong with either application. It really depends on the look you are trying to achieve with your home. Never be afraid to consult with an architect to make sure which would fit best with your style of home and how many exactly you will need to hold up that front porch. As indoor-outdoor living has become a more popular lifestyle, homebuyers are once again asking (demanding) for a front porch. And why not? They are a multifunctional space that frames the home's entrance while providing instant curb appeal. Similar to all major home-improvement projects, a good plan is vital. Here is a look at some of the key things to consider when designing the perfect front porch. Our column builder tool has allowed us to monitor which column material is the most popular. To our surprise, wood is chosen quite often. Wood is not always the best solution for most projects however. Fiberglass columns have become the most widely used column material in todays building industry and here is why. Fiberglass porch columns, orcast columns, are one of the most popular kind of architectural columns out there. Because so many different options are available, they offer a decorative flair that is unique and sophisticated. A quick look at Worthington's column builder should give you a good idea of how versatile they really are. While in the past wood porch columns were more popular than fiberglass porch columns, but fiberglass columns really are the preferable alternative, considering they're much sturdier, easier to paint, and extremely affordable. Which Architectural Column Material is the Most Affordable? Architectural columns have been around for decades; so it is no wonder that that they are so popular. They have been used on several different style houses including Federal, Greek Revival, Octagon, Colonial Revival, Dutch Colonial Revival, Beaux Arts, American Foursquare, Arts & Crafts and Ranch style. Each of these style home's have a very distinctive look to them. When you replace columns you want to try your best to replicate the columns that are to the style of the home. When building a new home you more or less have a choice of what type of column you want to put on your home. After simply deciding that you want columns the next step is choosing a material and getting the price. This can most often be difficult so let's break it down. Installing fiberglass columns can sometime be confusing or a hassle. We have broken down our installation instructions so that it is easy to install and also fast. This is simple enough that a homeowner can do it! As always if you have any questions on your installation feel free to give us a call! As an essential element gracing the front entrance of many homes, architectural columns have traditionally served a dual role, adding both structural support to front porch overhangs and creating a distinctive architectural style. While columns can be viewed simply as an upright pillar used for decorative purposes, or on the exterior of a home to support a roof or within a home to support ceiling beams, there is no minimizing the visual effect that classical or contemporary architectural columns can add to a home's decor. Depending on the style of columns used, they can add either graceful elegance or visual power to a home's entrance or interior. What are the Advantages of Composite Columns? Columns add visual charm or elegance, depending on style. They can be structural, simply decorative, or both. They can be made from a wide variety of materials, also. For our purposes today, let's look at the advantages of composite columns. Column covers are porch columns that are split vertically to surround a round or square column in half and with the purpose to hide a structural support. This structural support may be round or square and in either case it is important to know the interior dimensions of the column and how big of a post it will be surrounding. It is also important to take in mind that when figuring for a square support you must use the diagonal measurement. Who said that 10th grade geometry wouldn’t come in handy in the future? In case you forgot the formula it is A^2 + B^2 = C^2 where A and B are the side widths of the post. C would be equal to the hypotenuse or the diagonal going across the square. Old houses endure, but not so much the porches that give the home character. If left unpainted, even first-growth millwork will eventually splinter and rot, especially if it's been fancifully scroll-cut. So if your porch is in good shape, count yourself fortunate (and keep a paintbrush handy). For those longing to re-create a period porch, you're in luck: Recent innovations in building materials make it possible to hit all the architectural high notes - often without requiring the kind of skilled construction that's been hard to come by since World War II . In essence, the porch served as a vital transition between the uncontrollable out-of-doors and the cherished interior of the home...In many ways, the front porch represented the American ideal of family. The porch, in essence, was an outdoor living room, where the family could retire after the activities of a long day. There are many reason that someone may want to use split columns. These columns are for decoration purposes only. Any pole that you may not like (maybe on your porch or in your basement) column wraps can certainly make them beautiful to look at. 10 Questions You Should Ask Before You Buy Fiberglass Columns Online. 1. Are the fiberglass columns you are looking to purchase really made of fiberglass? If you conduct a search online for fiberglass columns a hand full of companies pop up in the search results on both Yahoo and Google. There are many different brands, materials, pictures, descriptions, sales pitches and offers. With all this information it is sometimes hard to tell what you are actually purchasing and that should be SCARY as it could be a costly mistake if you don’t purchase the right product! Some E-commerce companies offer a picture, a part, and a price and call it a "fiberglass column" which is why you need to research what you are looking to purchase!